Linky for my Wordless Wednesday is below ~ at end of post. Today's post is for Wednesday and that means photographs, haiku and wordless ~ silence. All these blogs are creative in their own style. 52 Photos prompt was 'Where We Meet'. For family events we usually meet at my home, my brothers or I go to North Carolina where my son has settled into his new home. Here in MA we are always gathered something near the ocean. 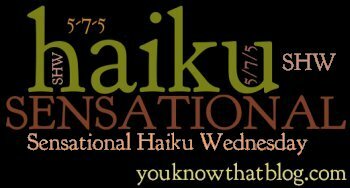 My haiku for Haiku Sensational is below and the prompt word was: 'landscape.' Once again the landscape most prevalent is the sea. Enjoy the photos, the haiku, water photos, wordless, visit and comment on the wonderful artists, photographers and poets work. Wishing you a magical and loving day. Thanks Carol! I will hookup with you on Magical Monday. Very nice haiku this week! In reference to the top photo: if a man cooks and nobody sees it, did he still cook? Your haiku describes the view so beautifully! Oh to be able to view the water like that everyday! So lovely! sweet aquatic landscape haiku! and love the quote! Lots to be grateful for in your haiku. Your haiku are such a lovely celebration of the world around us. Wow, you sure are busy with so many memes/projects! Vista, view, see,,,,all what we are lucky to be able to do or have the sense od.. I love water and poetry so your blog is a hit! Thanks for visiting NanaHood. Come again real soon. i love that first photo--she looks so happy! What a great series of haiku! Very descriptive.